Great article in Syracuse.com featuring PMAWF donations! 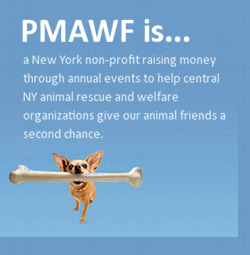 PMAWF was featured in Syracuse.com on April 13th for the $36,000 in donations handed out to local animal welfare non-profits! This entry was posted on Thursday, April 14th, 2016 at 5:42 pm	and is filed under Uncategorized. You can follow any responses to this entry through the RSS 2.0 feed. Both comments and pings are currently closed.